Hi Dies R Us friends! Vickie Y sharing with you today. I decided to create and send some thank you cards to family and friends as a way to let them know I appreciate the gifts and time spent together over the Christmas holiday. For my cards, I cut a white cardbase, layered it with a panel of glittery light green cardstock. 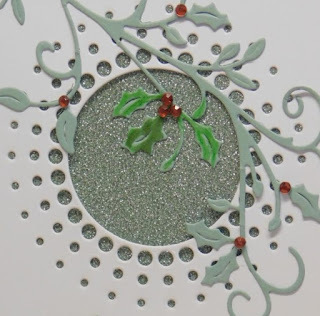 The top panel was die cut to create a fancy frame opening over the glittery paper. A very easy card to create using dies and some bling! 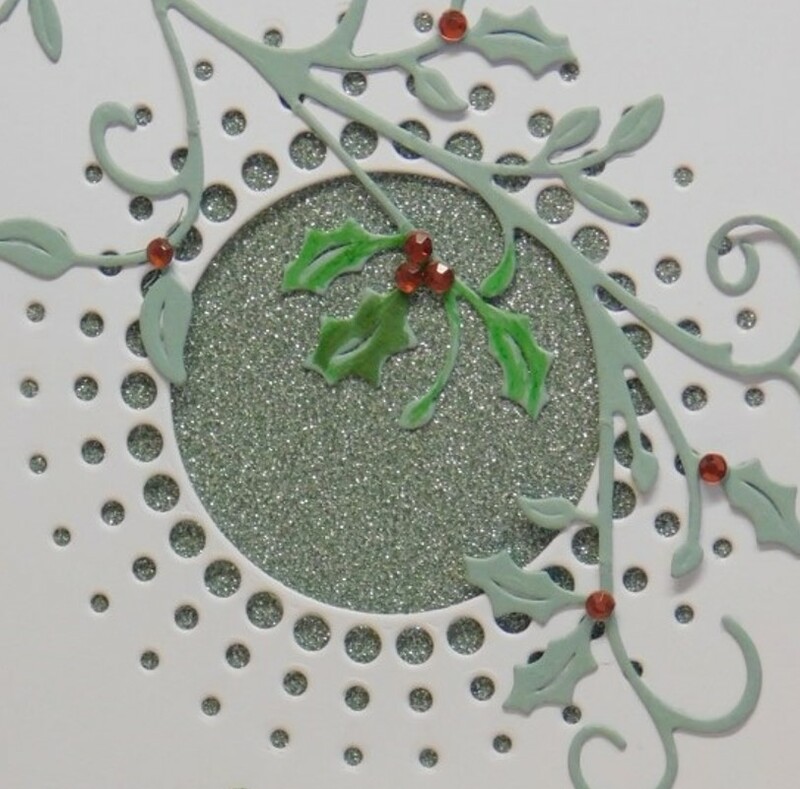 Here's a close up of the opening with a holly branch for added texture and color. So lovely! I like how you drew attention to the holly leaves within the focal point. Very nicely done!! What a gorgeous thank you card and I love the color. Beautiful design! Thanks for wonderful inspiration! Beautiful design, I love all of that pretty silver! I need to make a few holiday thank you cards. These are lovely. The colours beautiful!